September | 2008 | .heartands0ul. Been sleeping really “early” for the past consecutive nights. Average around 4-5am bah. haha. Cos I say good night to my mum, when she just woke up..
preparing to go out for work. I think im gonna flunk my mid-term exams la. its a fact that most of my friends know. LOL. and yet I needa do so many readings! And I always get distracted halfway. Sigh..
And im gonna be helping out as an Usher from 4-12am till Sunday. Hoho. Say goodbye to my grades. Cos school’s starting on the following day. Finally squeezed out some time to go for a haircut today. Simple collage that I made! Will prob update after F1 race again. Seems like my blog gonna be transformed into an avenue for me to advertise. This is gonna be a really short blog entry btw. Please help my bro to complete an online survey! and I shall give you TWO GOOD reasons why you should do the survey. hehe. Btw, the survey is only for people between the age of 15 – 25, and will end by 5 October! He needs 500 completed surveys!! Please spread the words for me ya? Oh yay. Other than that. I revived my humble online shop again. SO..yeaps! Help me to promote my shop ya? 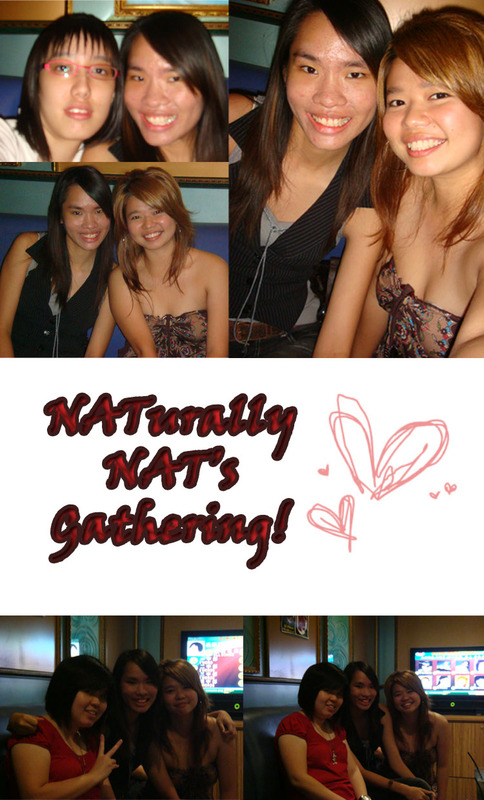 hehe..
the NATurals went for karaoke session w/o Nat some weeks back. Great music. Great entertainment. Great food. with the courtesy of Jason’s Bird Mobile. heh. We forgot a group photo! Shucks! I’m finally done with my history essay. So this is uni life. Except the fact that i needa complete heaps of readings. i shall upload some photos taken recently. hehe. 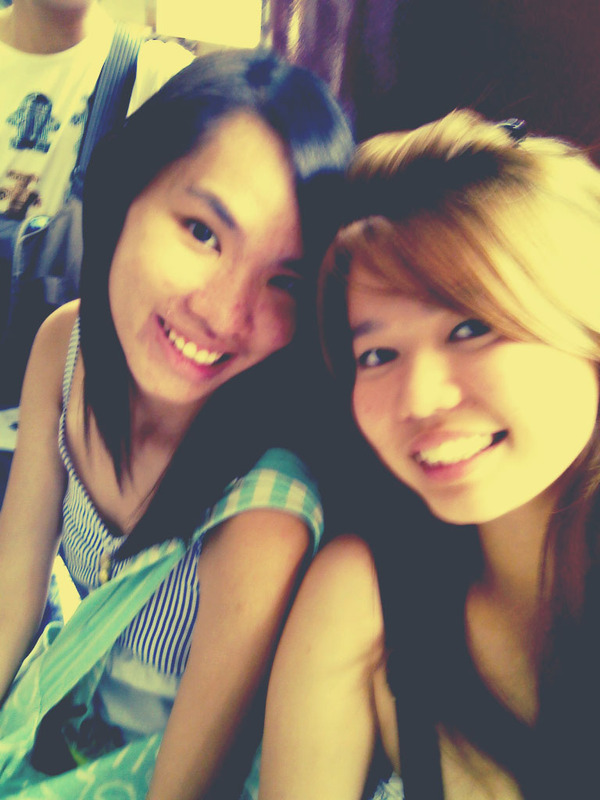 Hereby introducing my uni bestie, cherylene! Amazingly, we wore the same “theme” for our clothes for consecutive 2 days. 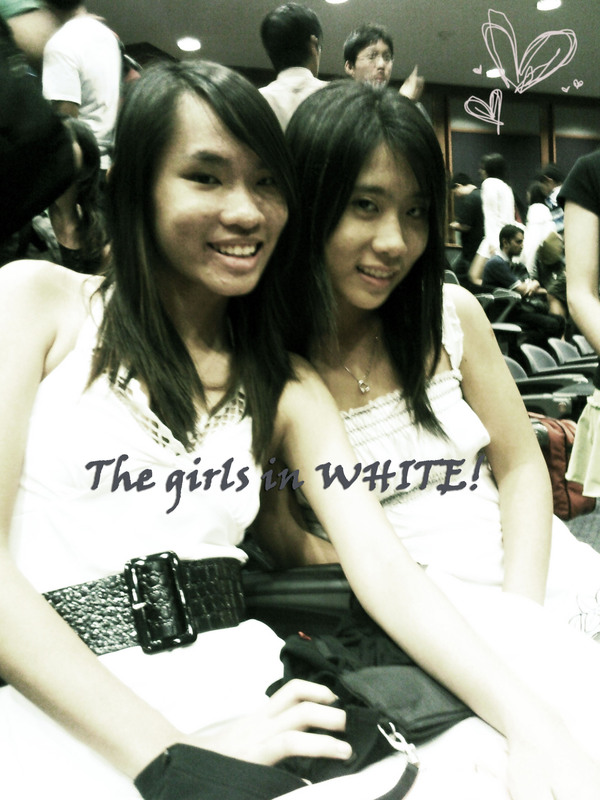 Till the extent that people said mistook us as sisters. LOL. Went to Newton Circus for “Alpheus” gathering on a particular wednesday. Think we spent like $13 each? Sumptous meal indeed, coupled with lotsa fun and laughter. hehe. 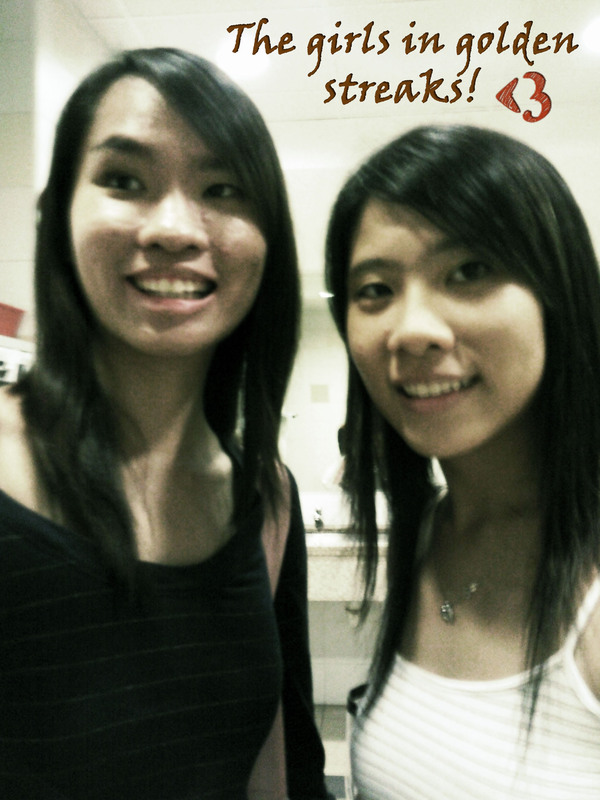 Went for Arts bash @ Zouk tog with cherylene. 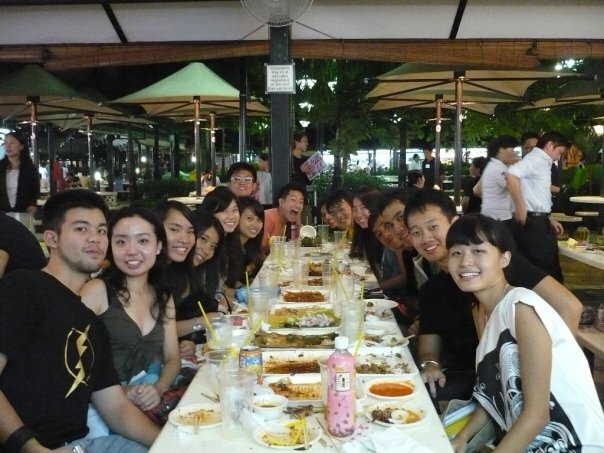 Met up with the rest of Alpheus peeps there. and off we went to Dempsey Road. 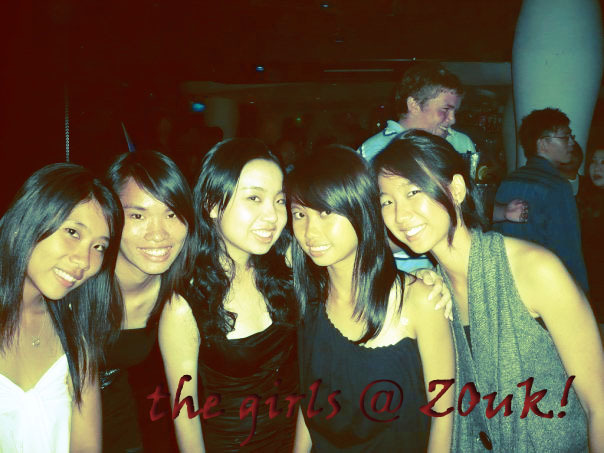 Cos Zouk was pretty boring after the bash, no one was dancing. Shucks. The cab driver didnt know his way. The rest spent only 5 bucks and reached the place. We spent more than 10, and ended up walking from one end of Dempsey..
Oh well, we ended up at Wine Company. Bday celeb for Pris, Edwin & another of their og mate! 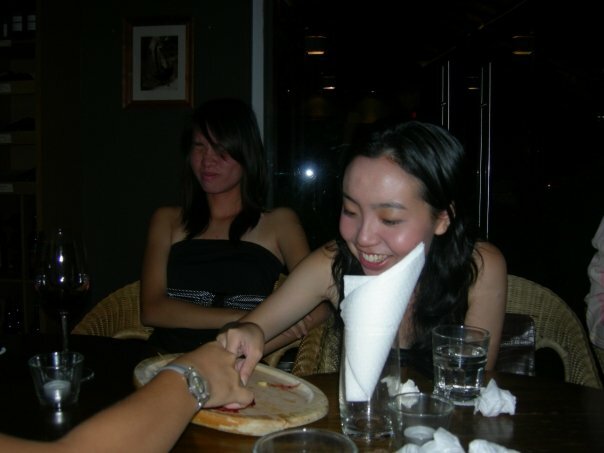 Joanne smsed us and told us bout the surprise bday celeb the previous day. Heh. 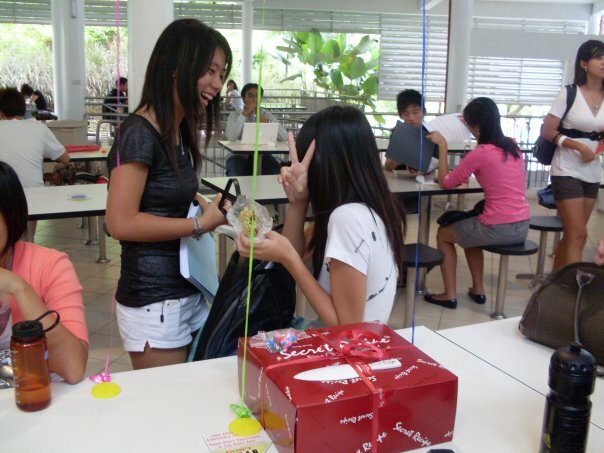 so Cherylene and I went to join the rest aft our lessons. Group shot, and some random shot which Ashton tried to take of me. lol. 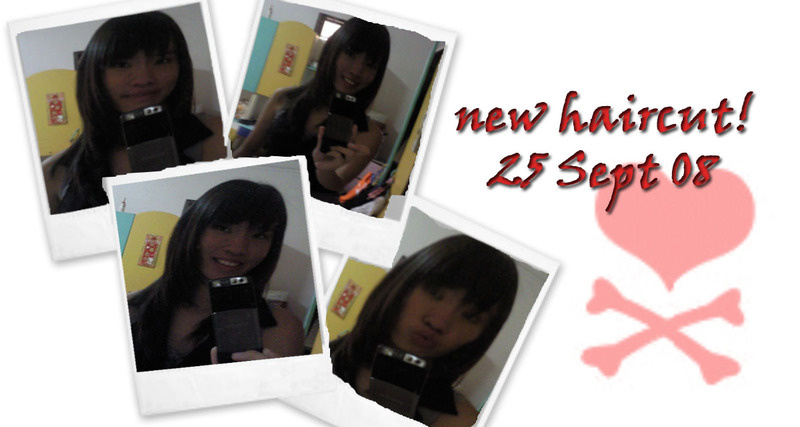 P.S Changed my blog header again. I know its ultra ugly! Gimme time, and I will do a better one. heh. My history mid term assignment is driving me nuts. Yes, the joyous thing is that.. It took up so much of my time!! and the whole of my saturday to finish 2/3 of my 1000 words essay. I needa finish the other 1/3, plus my cl and french assignment all by tml. Okay, jus a random ranting from me. Tons of stuff to do. Mid-term exams is starting in Week 6 – 15 Sept onwards. And im pretty busy with setting up my own small online shop again. Afterwhich, one week of holidays. 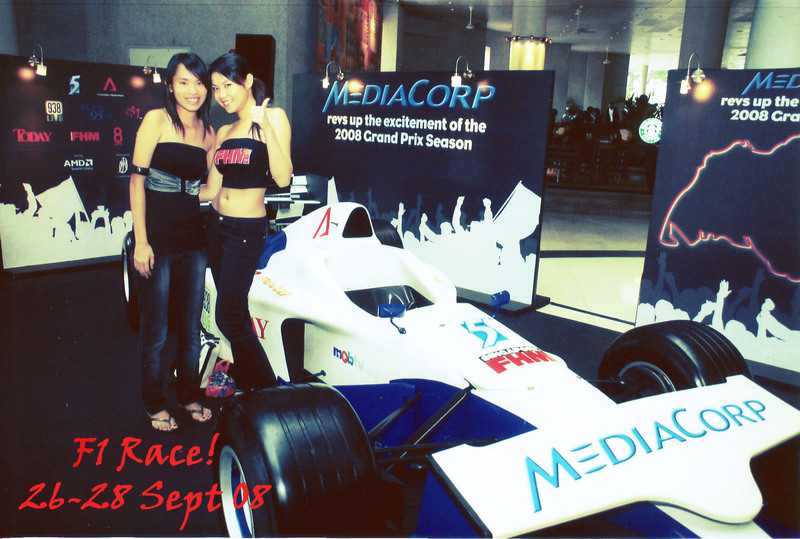 And I’ll be involved in the upcoming F1 race as an usher! After holidays, it will be exams again! On a really tight schedule now. Anyway, im really trying hard to save $ now. I really mean, scrimp and save hard. The monthly appointment with dermatologist gonna cost me a bomb. And to make it worse, im paying for everything on my own. Things have been this way a year back. Saved a lot from my previous 8 mths of work. But fork out almost all of them to pay for my own laptop, and phone. To friends, so sorry that I can’t really go out often now! Can’t afford both the time and $$$. lol. 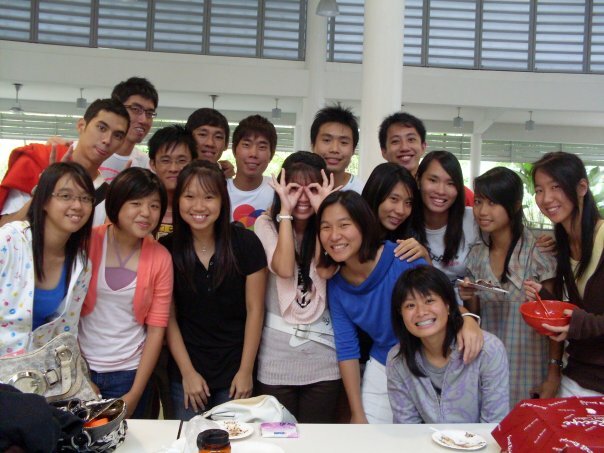 First photo was taken @ Tangs. Enen and I went to root for Jiabao (better known as Mandy) for her campaign promise. when I went to support Jiabao for her roadshow again. Looks-wise she really changed a lot.